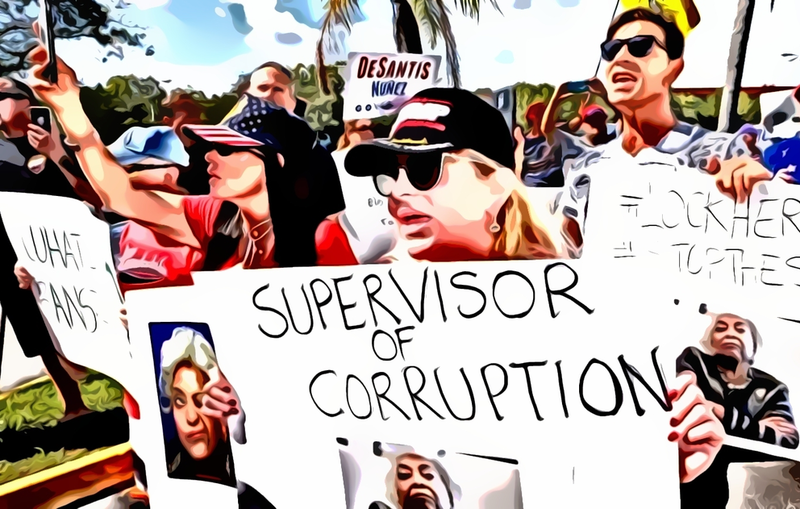 The ‘long march’ which the Florida recount battle seems to have turned into added another unfortunate chapter as the machine recount passed a deadline and thus a judge ordered that a manual recount would now be needed to decide the Senate race. The manual recount means it will take at least until Sunday before we know definitely who will become the state’s senator: Republican Rick Scott or Democrat Bill Nelson. As to the race for Governor, a recount of more than 8 million ballots ended Thursday afternoon and confirmed that Republican Ron DeSantis beat Democratic Tallahassee mayor Andrew Gillum in the nationally watched race that galvanized progressives across the country. Secretary of State for Florida Mr Ken Detzner ordered a manual recount of all votes in the Senate race and also in the race of commissioner for agriculture. The recount order mans that the 67 constituencies are given three days to go through the thousands of electoral letters that were refused by the machines for "overvotes" (in which the elector apparently chose more than one candidate) and "undervotes" (where the elector did not choose a candidate). State directives will help to figure out how voters wanted to vote. Related coverage: <a href="https://thegoldwater.com/news/42354-FL-Broward-County-Elections-Officials-Admit-We-Are-In-Prayer-Mode-As-Disaster-Looms"> FL - Broward County Elections Officials Admit “We Are In Prayer Mode” As Disaster Looms</a>. After the machine recount which ended yesterday afternoon, Republican candidate Mr Scott was still holding the lead with 12,600 votes or 0.15 percent. He received a few additional votes since but not enough to avoid a manual recount (which is done automatically when there is less than 0.25 percent difference between two candidates). It is not the first time that "swing state" Florida is heading for a manual vote recount. Back in 2000, votes had to be recounted in the state in order to decide the presidential election. In the end, Republican George W. Bush won from Democrat Al Gore with only 537 votes, after a Supreme Court decision intervened. We'll keep counting until we've got enough democrats to win. yeah, well, Scott AS GOVERNOR could have dealt with the corruption problem in that county long ago but didn't. check this out and spread it around. OUR PRESIDENT IS TELLING US EVERYDAY ALL ABOUT PROJECT IVY.